On Sale Now! Save 6% on the Raynor Garage Door Opener Replacement Safety Sensors by Raynor at Defy Now. MPN: CR-2154. Hurry! Limited time offer. Offer valid only while supplies last. 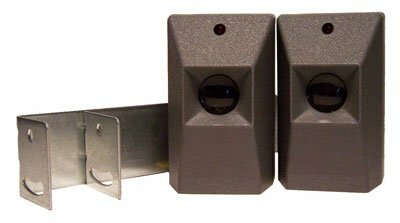 Replacement safety sensors for Raynor garage door opener models R-160 and R-170 ONLY. Includes sensors, mounting brackets, hardware and instructions. Replacement safety sensors for Raynor garage door opener models R-160 and R-170 ONLY. If you have any questions about this product by Raynor, contact us by completing and submitting the form below. If you are looking for a specif part number, please include it with your message.